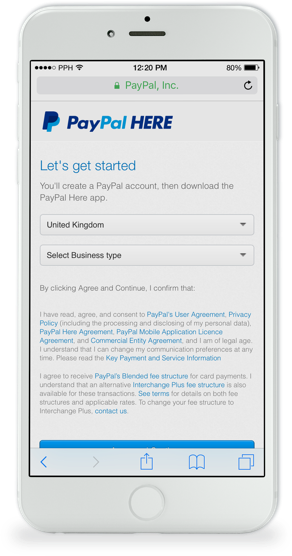 It’s easy to get started with PayPal Here. 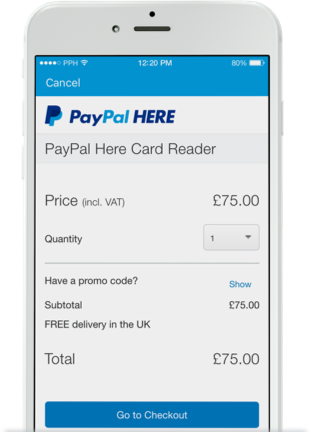 All you’ll need is the PayPal Here app on your iPhone, iPad or Android device with 3G or WIFI connection (see below for device compatibility) and the PayPal Here card reader. 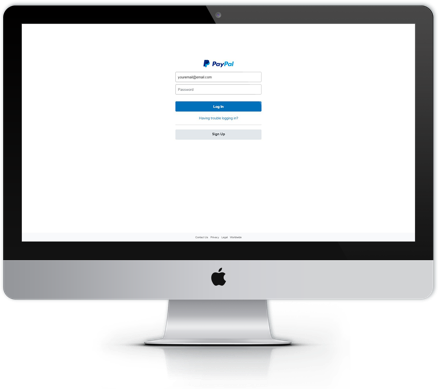 Sign up for PayPal Here online or simply download the free PayPal Here app and set up your account – you can order the card reader at the same time, or at any later time via the PayPal Here web store. Typically the application approval process will be carried out immediately when you sign up for PayPal Here via our website or app. Make sure to enter your personal and business details correctly to speed up the process. Note that we require the home address of the account holder as part of the application. In some cases we need to manually review your application and will ask you to upload additional documents like a Proof of Address or Proof of ID. We will let you know during the application process if this applies to you. If this happens, simply log on to your PayPal account via paypal.co.uk and click on the notification in your account (or go to the Resolution Centre) for further instructions. Contact the Customer Care team via 0800 358 9448 or 020 8080 6500* if you have any questions about the application process. If you purchased a PayPal Here Card Reader from PayPal, and your application was declined, contact the Customer Care team via 0800 358 9448 or 020 8080 6500* for instructions on how to return the item. If you return the card reader within 30 days of receipt of delivery, we will issue you with a full refund once you have returned the card reader. Make sure it’s undamaged, in good working order and in the original packaging. PayPal Here is only available for UK residents. Use of the PayPal Here Card Reader is subject to application approval. See full terms and conditions. Once you’ve purchased the reader, it should take 2-3 working days to arrive. You can return your reader free of charge within 30 days if you’re not satisfied. New readers have a one year warranty period. You can login to your account using your email address and password or you can set up a PIN and login using your mobile number. On the Iogin screen, tap on the settings icon to select your preferred login method. 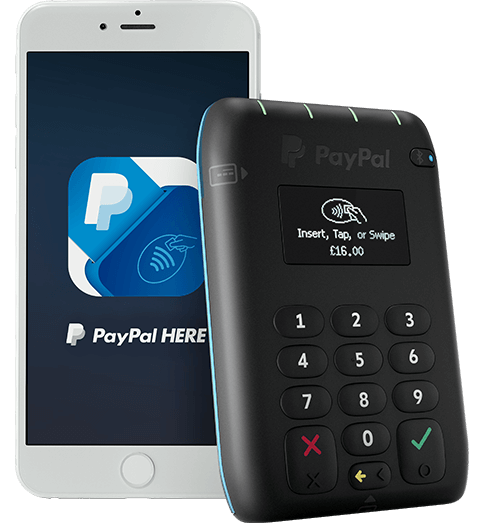 We cannot guarantee that all PayPal Here Card Reader features will work with all phone models. This is because changes to settings and protocols made by phone manufacturers and mobile carriers are outside of PayPal’s control. To process transactions, your device must be connected to the internet via Wi-Fi or by mobile data. PayPal Here offers a 30 day money back guarantee on card reader purchases.